ICI is pleased to announce that Katie Mulrenin has joined the ICI team in the role of Director of Business Development. Katie has nearly 20 years of experience building and cultivating client relationships within the real estate and construction industries. Katie will complement ICI’s existing business development team, allow the company to enhance working relationships with owners, developers, architects, real estate brokers and property managers and broaden our footprint within the marketplace. Formerly, Katie was the National Director of Sales for a Midwest construction company headquartered in Wisconsin and was Client Director for a full-service Chicago-area construction company. She was also the Director of Operations for a Chicago-area residential and retail developer; administering construction contracts valued in excess of $1 billion. 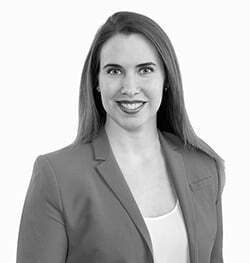 Katie is active in the International Council of Shopping Centers (ICSC), Real Estate Investment Association (REIA), Urban Land Institute (ULI), West Central Association (WCA) and The Near South Planning Board (NSPB).